This is a neat little 8-1/2" thermal printer called "Big Blue" from Protecto Enterprises, though I'm guessing it was manufactured by another company. The only other marking on it says "Model 5181001". This printer is quiet and has a nice small form factor. 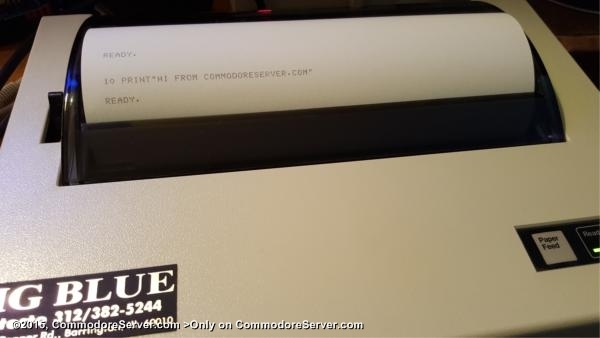 This was the only printer I had with my commodore I loved that thing was nice and quiet, however printouts from late 80s are almost invisible now on that thermal paper.